For students to debate and discuss an issue from the perspective of an affected community. 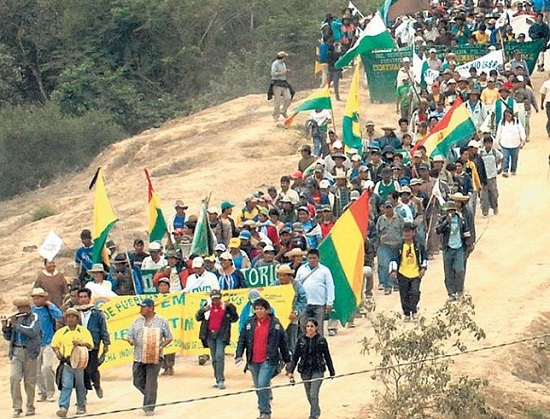 The Bolivian government is building a massive motorway through a natural park and indigenous reserve called the TIPNIS in central Bolivia. The indigenous community opposes the construction of the road. Ask students to discuss in groups why the indigenous community might not want the road to be constructed. Elicit answers, and map them on the board under the heading of. What can governments do to encourage people to use more environmentally friendly forms of transport? What does the Irish government do to encourage people to use these forms of transport? What more can they do? Ask students to research the M3 road through Tara, and the opposition to it.